CLARION, Pa. (EYT) – Twenty-seven years ago Bill and Judy Miller were sitting in one of the many rooms of a large historical house they had purchased and were busily discussing plans for a massive renovation that would allow them to open the Clarion House Bed and Breakfast at the corner of South Street and Seventh Avenue in four months. 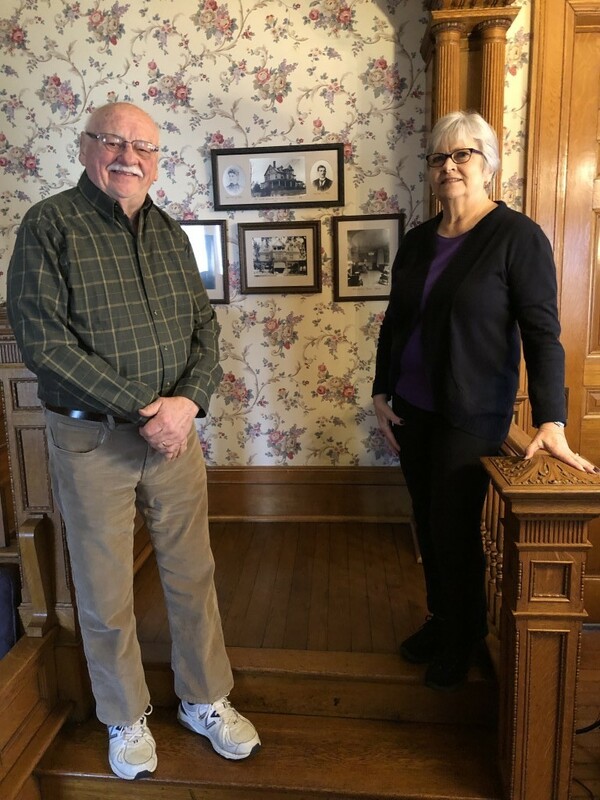 Clarion’s first and only official bed and breakfast was a success, and after running the business for 27 years, the couple decided it was time to retire last November, but they still live in the house that they proudly nurtured. Many customers were repeat visitors over the years. Others were in the area for business and university-related activities such as interviews. An upstairs apartment and garage apartment are still being rented. This isn’t the first time the couple retired. Judy worked as a fifth-grade teacher for 13 years, and Bill was the men’s swimming coach at Clarion University for 22 seasons from 1979-2000 and the women’s swim team for 13 seasons before retiring in 2000. He also coached at Seneca Valley and Norwin High Schools before Clarion. The house is for sale, but the Millers are comfortable living there and have listed the house with a firm that specializes in bed and breakfasts, Jon Doerr of Berkshire Hathaway Home Services. Bill said they have explored other options such as a Connecticut firm that would purchase the house, disassemble the house, and then sell the many antique portions of the house. The idea of a bed and breakfast was a dream of the Millers who travel extensively around the world, visiting other bed and breakfasts. Bill, an internationally respected swim coach, would often contract to offer swimming clinics throughout the world and had some unique opportunities to see how other people offered bed and breakfast housing. The Clarion House Bed and Breakfast building was planned and constructed as a private residence by Dr. Charles Ross and his wife Harriet Cook Ross in 1894. Dr. Ross studied medicine at the University of Pennsylvania and practiced medicine in Clarion until his death in 1938. Harriet was the daughter of Judge Andrew Cook, owner of what is now Cook Forest State Park. Because of this family relationship, much of the house is crafted from hardwoods grown in Cook Forest. In the early 1940s, the house remained vacant for a few years until purchased by Fred S. Port of Clarion who made it into a rental property. According to Bill, Port gave each of his daughters a house and daughter Alice Port Rupert and her husband Don moved into the house in 1959 and gradually reconverted the house from an apartment house into a family residence with a third-floor rental apartment. The Rupert family modernized the plumbing, heating and the electrical systems while keeping much of the interior architecture as it was in the late 1800s. It was a house with “good bones” and ideal for conversion to a bed and breakfast. The original hardwood floors are still there, along with a stately wooden staircase that winds up to the second floor. Harriet was an artist, and many of her own handcrafted, leaded, stained glass windows and doors are still throughout the house. There are also nine fireplaces and four chimneys within the house. The third floor was a servant’s quarter and is now used as an apartment. The house was one of the first houses in Clarion to have electricity. There are still original chandeliers hanging throughout the house, and they are gasoliers that have both electric and gas lighting in the same unit. 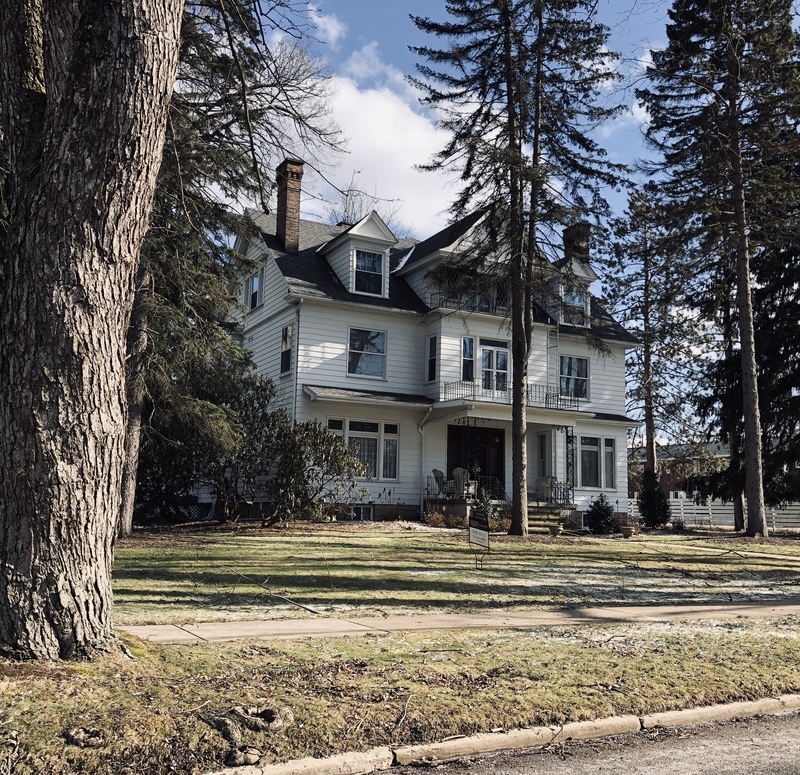 Before the Millers purchased the house, Clarion University Trustees were seriously considering purchasing it as a new home for the Clarion University President. In the end, trustees and the State System of Higher Education decided to first consider building a home on Main Street near the edge of campus, but then built the current official residence behind Still Hall. Bill and Judy purchased the house in 1992 and began renovations that would become the Clarion House Bed and Breakfast. The renovations included the adding of four new second floor bathrooms and the upgrading of the existing bathroom, adding storm windows, insulation, and upgrading the electrical and heating systems. At this time, the owner’s suite was established and a two-bedroom apartment was created from half of the very large garage. Gradually, the historic icehouse was repurposed as a garden shed complete with electricity and shelving. New sidewalks replaced older ones; flower gardens and raised beds for berries and vegetables were made. Improvement in the basement’s four rooms included a large sewing room, a model train room, and a large room for the storage of seasonal decorations and the many Christmas trees that decorate the B&B during the holiday season; and a large general storage room. Other improvements included the addition of the South Street porch and a custom designed kitchen.